Welcome to "The BALTO Reunion"
and welcome to a site devoted to a excellent cartoon - Balto. In the beginning of 2002 travelling in a network I have suddenly thought: whether there are sites devoted to my favorite cartoon - "Balto". By then I already for a long time would like to decorate a desktop and change WinAmp's skin etc. Having typed in popular russian search systems something like "Balto", I have seen many links to an Internet shops in which cassetes were on sale, and nothing about Balto... And I have wanted to make in Internet an community of fans of "Balto". The idea was considered about 2 months, and by the end of February was embodied on this site. You draw? Write verses? Stories? Or maybe you have different talents? 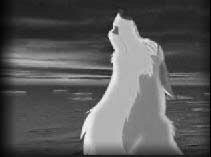 Send me the works of a theme "Balto" and then they will be seen by visitors of a site! 09.08.2004 New english version "The BALTO Reunion!" begins the work. 01.09.2004 English version "Music page" now aviable. The site only starts to develop, therefore if you will notice any mistakes, non-working links etc, please, inform me about it. If you want to help me to create this site, write to support@aniworld.ru. Let's create this site together! All graphic representations of characters and own trademarks belong to Universal Studios. If you use any information of this site, you necessarily must create a link to this site.